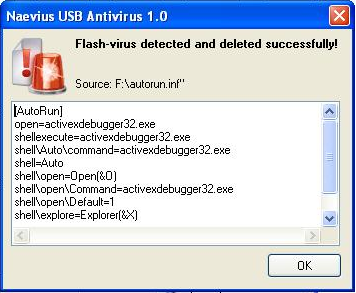 Are you fed up of various viruses, trojan, worms spreading through USB devices and Flash memory ? I’ve a nice and free protection tool for you. Naevius USB Antivirus is a small tool, which is designed to protect against dangers spread via USB Flash drives. It provides real-time protection against any Trojans, spyware, worms passed from a USB storage. It’s compatible with any antivirus like for example: BitDefender, Nod32, Kaspersky, AVG, Norton, McAfee, Panda, AVAST etc. It is small and sits quietly in windows system tray.